Mild-hybrid performance ute boasts 450 horsepower and 568 lb-ft of torque. Ever since Mercedes lifted the veil off the new GLE in Paris this past fall, we've been waiting for AMG to release its performance version. And here it is. 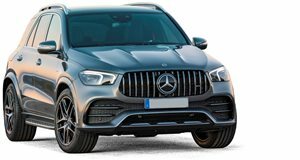 Released in time for the Geneva show, the new Mercedes-AMG GLE53 stops short of a full-on, eight-cylinder GLE63 (as the outgoing model offered). But what it lacks in cylinders (and displacement) it makes up for with electricity: behind AMG's now-signature "Panamericana” grille sits the same 3.0-liter turbocharged mild-hybrid straight-six as you'd find in similar versions of the E-Class, CLS, and GT 4-Door Coupe. The internal-combustion engine churns out 429 horsepower and 384 lb-ft of torque, with the 48-volt EQ Boost electric assist kicking in another 21 hp and 184 lb-ft for a combined total of 450 hp and 568 lb-ft. That's more power than the outgoing AMG GLE43 and even more torque than the old 63. Sent to all four wheels through a nine-speed automatic transmission, all that muscle is said to be capable of propelling the new mid-size luxury crossover to 60 mph in just 5.2 seconds (a second slower than the old 63 but 0.4 seconds quicker than the 43). That ain't half bad for a six-cylinder sport-ute weighing a solid 4,700 pounds, or about twice the weight of a Mazda MX-5. Fortunately Daimler's performance division also fitted enormous brakes to keep all that power and mass in check, measuring 345 x 25 mm at the back and 400 x 36 mm at the front. That's more than 15 inches across, packed into 20-inch alloys. Top speed remains electronically limited to the customary 155 mph, which few are likely to ever reach, even on a derestricted stretch of Autobahn. But the boys in Affalterbach have done more than tune it for straight-line speed. AMG has also upgraded the transmission, all-wheel-drive system, and air suspension for a more spirited drive. Drivers will be able to select between seven drive modes for operating on (and off) various road conditions, including Slippery, Comfort, Spot, Sport+, Individual, Trail, and Sand – all of which just goes to show just how versatile a vehicle we're dealing with here. These in addition to the Basic, Advanced, and Pro settings for the traction and stability systems. 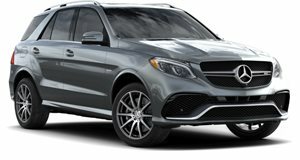 It's also given the GLE53 a more aggressive appearance inside and out, with a complete aero kit and a 15-vertical-bar grille. The cabin is all done up in black and red with carbon-fiber trim and more AMG badges than a dealer's parts department. The MBUX infotainment system features a Track Pace telematics feature (should you decide to take yours to the track), and the "air-balance" system even pipes a special AMG fragrance into the vehicle – as if you'd need more encouragement to mash the pedal. 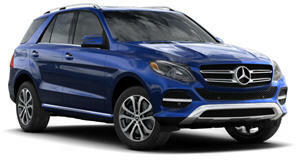 The performance-tuned, electrically assisted, mid-size luxury crossover is set to reach US showrooms later this year. By that time we can expect pricing to be revealed, likely around the $75k mark.